9.3 inches for an infotainment display screen: that’s the sort of thing you’d expect in a mid-to-upper-spec Audi, isn’t it? And yet, the once humble Renault Clio is about to get exactly that. We say ‘once humble’ because Renault seems to be rather keen to nudge its supermini a little more upmarket to cater for the wants and needs of today’s tech-obsessed new car buyer. That’s why in these new interior images of the incoming fifth-gen Clio, it all looks very posh. The infotainment screen looks especially large in its Tesla-like vertical position, protruding up and out of the dashboard. It’s slightly curved, angled towards the driver, and takes away many physical controls to de-clutter the dashboard. But don’t worry, you do still get tactile dials for the climate controls, by the looks of it. 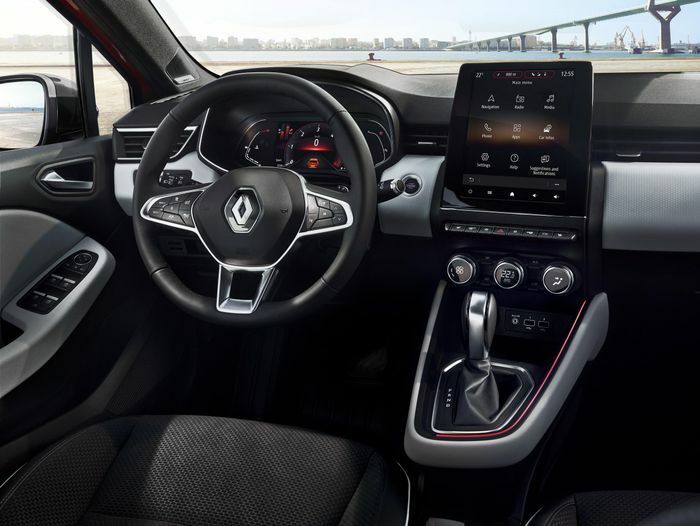 This screen teamed up with a 10.1-inch display that forms the instrument binnacle, giving the Clio “the largest screens in its category,” Renault boasts. The 10.1-inch screen is optional, however - as standard, you get a more modest seven-inch setup. We’d assume it’ll be a similar case for the multimedia screen, but this hasn’t been confirmed yet. 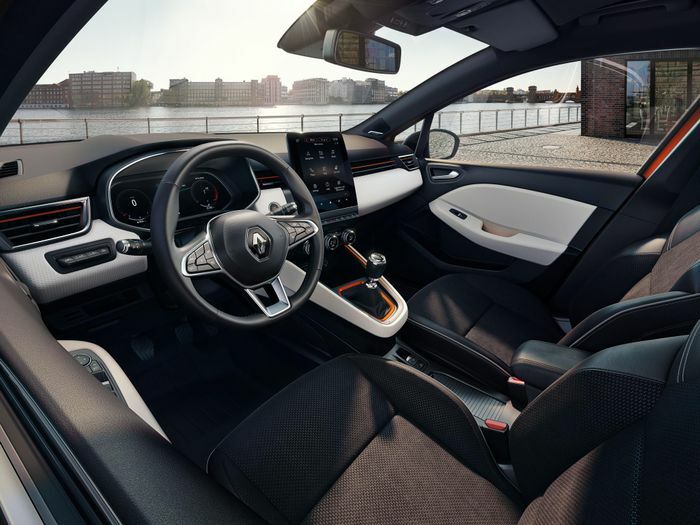 Inside the Clio, you’ll also find new seat designs aimed at improving knee space for those sitting in the back while holding those in the front more snugly thanks to an “enveloping shape”. If you don’t like the look of the grey-heavy cabin you see here, the chances are you should be able to spec it to your liking: there are eight “design schemes” available in total. The car will make its public debut at the Geneva Motor Show in March.